It’s always great to share a milestone when you’re a small business, and I’m delighted to share one with you today. We’re pleased to introduce Dominic! Dom is our very first intern and we are delighted to have him on board for the rest of the year, all the way from Germany. You may hear from or meet Dom in the coming weeks and months, so please give him a warm welcome! I’ve also been busy writing a blog post sharing my top 5 tips for boosting your productivity. In our digital lives, it’s easy to fall into a YouTube vortex rather than getting stuff done, so hopefully my tried and tested tips will help you stay on top of your game. I think the Internet of Things is a wonderful, and the more time I spend thinking up crazy internet-enabled hacks to change my life, the more I wonder if I’m taking things too far. For example, do you really need an internet-enabled toothbrush? I used to think poorly of the LG Internet Fridge, but in reality, it was just a bit ahead of its time. Take a look at these, do you think they’re innovative or useless gadgets? 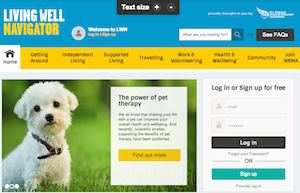 The National Roads & Motorists’ Association (NRMA) are a foundation client of Zuni’s and, despite being proud of the work we’ve done for them, we also think their latest offering, Living Well Navigator, is pretty darn awesome. This online resource and social community helps you be healthy, happy, live independently for longer, and stay active doing the things you love. As our population ages and lives longer, this is a very timely solution from NRMA to engage their members. If you’re like me, you’ve had NRMA as part of your life since you were 15 years and 9 months old (ie getting your driver’s licence), so it’s great to know they’re going to continue looking after me as time goes by. Zuni’s involvement included business planning and ideation, the IA and UX for the site, development of the content strategy and comms planning. With all the recent Facebook algorithm changes, it’s no surprise that brands are struggling to keep up to date and keep their audiences engaged. The algorithm has actually sparked a bit of a problem; spam. Pages are uploading popular YouTube videos to Facebook without permissions in order to drive engagement and traffic, given that the platform upweights video engagement. It looks like the Facebook v Google war for audiences will continue. 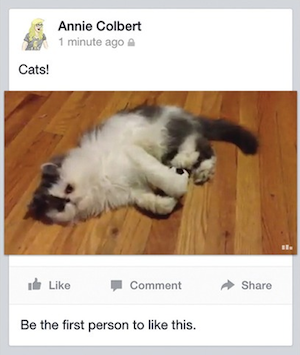 Let’s be honest, are you finding huge amounts of value in the bombardment of viral videos in your newsfeed? Really? It’s no secret that charities are struggling to maintain their donors as the market becomes more saturated. 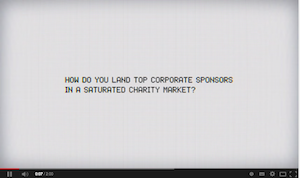 This campaign by a NZ charity caught my attention as it does something completely different. I don’t want to spoil the surprise, so what I will say is this is a brilliant way to a) gain the attention of corporate sponsors and b) target the CFO in a way they simply CAN’T ignore. WOW. 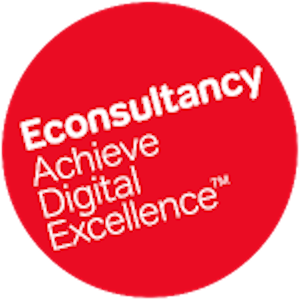 This is a bit of a double-edged sword – an online assessment of your digital skills, from Econsultancy. I say double-edged as it’s a pretty comprehensive assessment, which may highlight a skills shortage that you’re not proud to admit. Of all the online tools I’ve used, this is by far the most exhaustive test I’ve come across. You can even benchmark yourself against others that have taken the test. If you do find you’re needing some brushing up,give me a shout and I’ll happily look at some education solutions for you and/or your team.